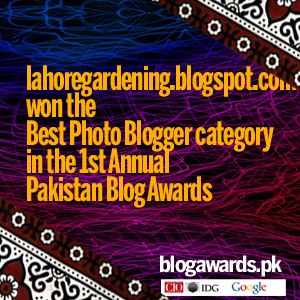 Today i will share pictures of Amaryllis Graffiti and Kashmir Dahlia from my garden. 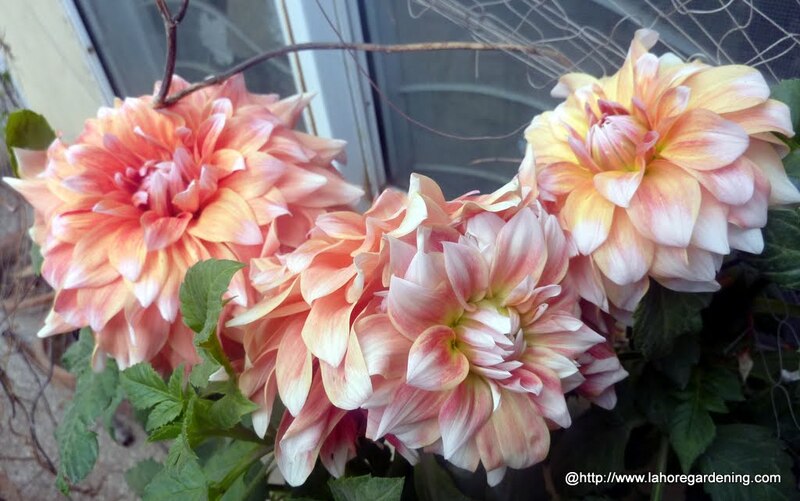 Kashmir dahlia is also called indian dahlia here but it is not from india. It is from holland. It is propagated from cuttings. These are raised and grown in cool areas like hilly mountains of Murree and then brought to warm areas in winter. It needs protection from fog and sever winter. It likes to be fed well and needs lot of energy to put large flowers. It goes dormant in summer and keeping it in soil bed is best option instead of digging and storing. It will re sprout in late summer. Not every indian dahlia is dinner plate. Full sun is must for good flowers. Remove spent flowers as soon as possible. This one is flowering on my terrace in a clay pot. Hippeastrum (common amaryllis) is very ideal for growing in hot climates. There are two most common sources. The south african hybird and dutch hybirds. Hadeco are very famous south african company in hybridizing amaryllis. This one is hadeco Graffiti i am growing in a pot. Double amaryllis can also multiply specially in pot. Remember to bury only 1/3rd of the bulb below the soil. Beautiful! I love the pastel colours of the dahlias. Green colored flower is rare! This is awesome!! Beautiful, both are among my favorite flowers. Hello Muhammad, thanks for visiting my site. I love dahlia but they will not do good in our lowland hot climate, but amaryllis we can. 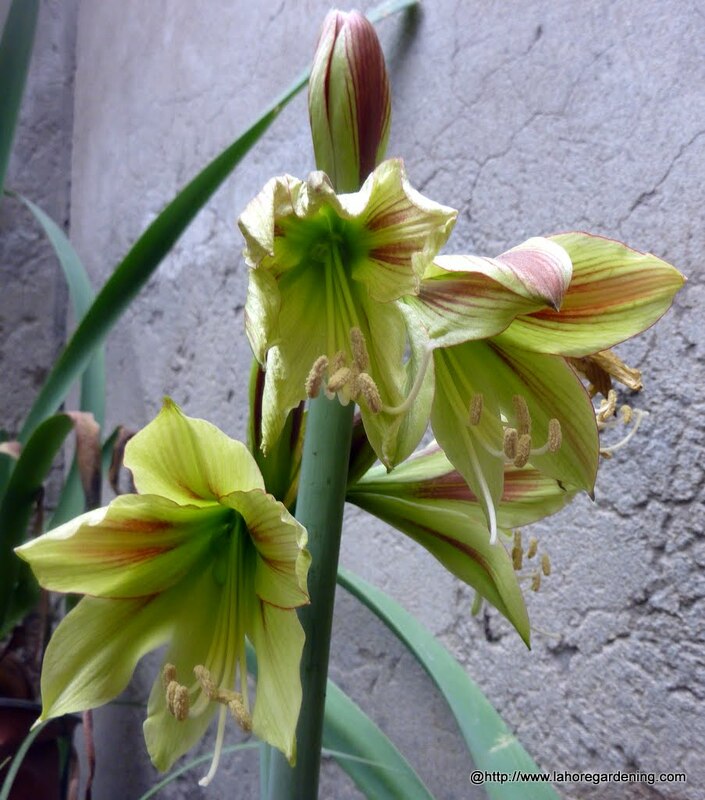 I love the color of your amaryllis, it is just not very common to have different colors here with us! Beautiful Dahlias. Which fertilizer is best for Indian Dahlia and how often?